Mutations in cell free DNA (cfDNA) or cells in the peripheral blood along with anemia or thrombocytopenia are the whole mark of myelodysplastic syndrome (MDS). The incidence of MDS is 3-4 per 100,000 per year but increases significantly above the age of 50 and it is at 30 per 100,000 per year in patients above the age of 70. The diagnosis of MDS is confirmed when mutations in hematopoietic cells are detected at relatively high levels (>40% of cells). However, mutations at low levels in few cells can be detected in normal individuals. 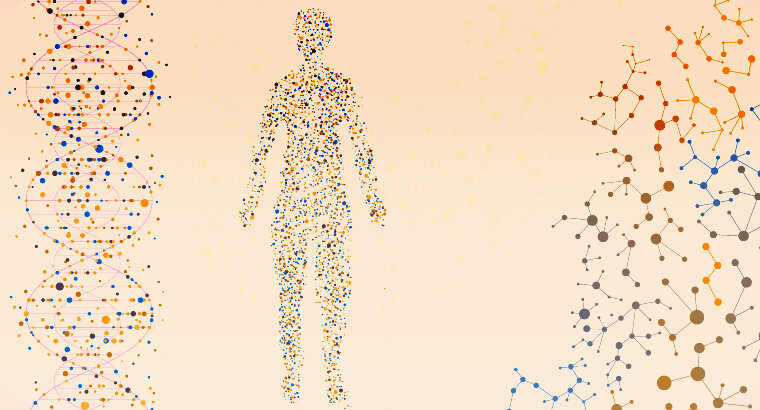 In general, random somatic mutations occur in normal cells, but rarely these cells evolve into viable clone, but with aging, the possibility of a clone to accumulate increases. Clonal hematopoiesis of indeterminate potential (CHIP) is defined by the presence of low-level mutations in the peripheral blood in clinically normal individuals. CHIP is detected in 3-5% of normal individuals above the age of 50 and in approximately 10% of people aged 70 to 80. The most common mutation is on the DNMT3A gene, followed by TET2 and ASXL1. The rate of transformation to a hematological neoplasia is 0.5–1% per year. Clonal cytopenias of undetermined significance (CCUS) is defined by the presence of cytopenia (anemia, low platelets or white cells) along with low level mutations but does not meet World Health Organization (WHO)-defined criteria for MDS and the mutations are detected in <40% of cells. Approximately 25% to 65% of patients with cytopenia will have mutation in one or more genes. These patients with mutations have significantly higher probability of developing MDS or other hematopoietic neoplasms (AML, MPN, lymphoma,…) within 5 years. In addition, recent studies linked mutations in peripheral blood to cardiovascular disease (CVD). Recent data show that patients with CHIP have 4.0-times greater risk of myocardial infarction as compared to individuals without such clone. The prevalence of CHIP in patients with coronary artery disease is reported to be at 18.2%. In contrast, the prevalence of CHIP in centenarians is only at 2.5%. It has been shown that mutations in TET2 gene, which is one of the commonly mutated genes in CHIP, are pro-inflammatory and lead to the development of atherosclerotic plaques. Based on that it has been suggested that anti-inflammatory agents might slow the progression of cardiovascular disease in patients with low level mutations in peripheral blood. Additional studies are needed to determine the clinical relevance of anti-inflammatory agents in reducing CVD or to determine the relationship between duration of the presence of CHIP or level of the mutated clone with progression of CVD or hematologic neoplasms. Clonal hematopoiesis of indeterminate potential and its distinction from myelodysplastic syndromes. Steensma DP, Bejar R, Jaiswal S, Lindsley RC, Sekeres MA, Hasserjian RP, Ebert BL. 2015 Jul 2;126(1):9-16. doi: 10.1182/blood-2015-03-631747. PMID: 25931582. Deep Sequencing of Cell-Free Peripheral Blood DNA as a Reliable Method for Confirming the Diagnosis of Myelodysplastic Syndrome. Albitar F, Ma W, Diep K, De Dios I, Agersborg S, Thangavelu M, Brodie S, Albitar M. Genet Test Mol Biomarkers. 2016 Jul;20(7):341-5. doi: 10.1089/gtmb.2015.0278. Epub 2016 Jun 1. Age-related clonal hematopoiesis associated with adverse outcomes. Jaiswal S1, Fontanillas P, Flannick J, Manning A, Grauman PV, Mar BG, Lindsley RC, Mermel CH, Burtt N, Chavez A, Higgins JM, Moltchanov V, Kuo FC, Kluk MJ, Henderson B, Kinnunen L, Koistinen HA, Ladenvall C, Getz G, Correa A, Banahan BF, Gabriel S, Kathiresan S, Stringham HM, McCarthy MI, Boehnke M, Tuomilehto J, Haiman C, Groop L, Atzmon G, Wilson JG, Neuberg D, Altshuler D, Ebert BL. N Engl J Med. 2014 Dec 25;371(26):2488-98. doi: 10.1056/NEJMoa1408617. Clonal Hematopoiesis and Its Impact on Cardiovascular Disease. Sano S, Wang Y, Walsh K. Circ J. 2018 Sep 4. doi: 10.1253/circj.CJ-18-0871. PMID: 30185689. Clinical Implications of Clonal Hematopoiesis. Steensma DP. Mayo Clin Proc. 2018 Aug;93(8):1122-1130. doi: 10.1016/j.mayocp.2018. PMID: 30078412. Myeloid cell contributions to cardiovascular health and disease. Nahrendorf M. Nat Med. 2018 Jun;24(6):711-720. doi: 10.1038/s41591-018-0064-0. PMID: 29867229. Atherosclerosis and clonal hematopoyesis: A new risk factor. Páramo Fernández JA. Clin Investig Arterioscler. 2018 May - Jun;30(3):133-136. doi: 10.1016/j.arteri.2018.03.001. Tet2-Mediated Clonal Hematopoiesis Accelerates Heart Failure Through a Mechanism Involving the IL-1β/NLRP3 Inflammasome. Sano S, Oshima K, Wang Y, MacLauchlan S, Katanasaka Y, Sano M, Zuriaga MA, Yoshiyama M, Goukassian D, Cooper MA, Fuster JJ, Walsh K. J Am Coll Cardiol. 2018 Feb 27;71(8):875-886. doi: 10.1016/j.jacc.2017.12.037. Somatic Mutations and Clonal Hematopoiesis: Unexpected Potential New Drivers of Age-Related Cardiovascular Disease. Fuster JJ, Walsh K. Circ Res. 2018 Feb 2;122(3):523-532. doi: 10.1161/CIRCRESAHA.117.312115. Clonal Hematopoiesis and Evolution to Hematopoietic Malignancies. Bowman RL, Busque L, Levine RL. Cell Stem Cell. 2018 Feb 1;22(2):157-170. doi: 10.1016/j.stem.2018.01.011. Risk and timing of cardiovascular death among patients with myelodysplastic syndromes. Brunner AM, Blonquist TM, Hobbs GS, Amrein PC, Neuberg DS, Steensma DP, Abel GA, Fathi AT. Blood Adv. 2017 Oct 18;1(23):2032-2040. doi: 10.1182/bloodadvances.2017010165. eCollection 2017 Oct 24. The maturation of a 'neural-hematopoietic' inflammatory axis in cardiovascular disease. Stiekema LCA, Schnitzler JG, Nahrendorf M, Stroes ESG. Curr Opin Lipidol. 2017 Dec;28(6):507-512. doi: 10.1097/MOL.0000000000000457. Clonal Hematopoiesis and Risk of Atherosclerotic Cardiovascular Disease. Jaiswal S, Natarajan P, Silver AJ, Gibson CJ, Bick AG, Shvartz E, McConkey M, Gupta N, Gabriel S, Ardissino D, Baber U, Mehran R, Fuster V, Danesh J, Frossard P, Saleheen D, Melander O, Sukhova GK, Neuberg D, Libby P, Kathiresan S, Ebert BL. N Engl J Med. 2017 Jul 13;377(2):111-121. doi: 10.1056/NEJMoa1701719. Clonal hematopoiesis associated with TET2 deficiency accelerates atherosclerosis development in mice. Fuster JJ, MacLauchlan S, Zuriaga MA, Polackal MN, Ostriker AC, Chakraborty R, Wu CL, Sano S, Muralidharan S, Rius C, Vuong J, Jacob S, Muralidhar V, Robertson AA, Cooper MA, Andrés V, Hirschi KK, Martin KA, Walsh K. 2017 Feb 24;355(6327):842-847. doi: 10.1126/science.aag1381. 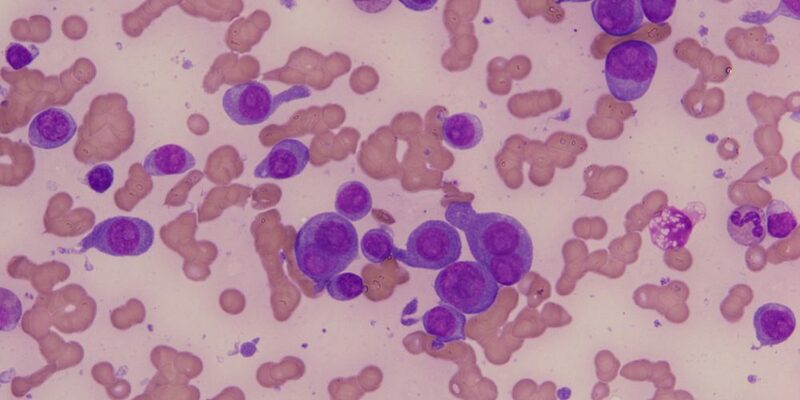 Clonal hematopoiesis. Jan M, Ebert BL, Jaiswal S. Semin Hematol. 2017 Jan;54(1):43-50. doi: 10.1053/j.seminhematol.2016.10.002. Epub 2016 Oct 20. Review. Clonal Hematopoiesis Associated With Adverse Outcomes After Autologous Stem-Cell Transplantation for Lymphoma. Gibson CJ, Lindsley RC, Tchekmedyian V, Mar BG, Shi J, Jaiswal S, Bosworth A, Francisco L, He J, Bansal A, Morgan EA, Lacasce AS, Freedman AS, Fisher DC, Jacobsen E, Armand P, Alyea EP, Koreth J, Ho V, Soiffer RJ, Antin JH, Ritz J, Nikiforow S, Forman SJ, Michor F, Neuberg D, Bhatia R, Bhatia S, Ebert BL. J Clin Oncol. 2017 May 10;35(14):1598-1605. doi: 10.1200/JCO.2016.71.6712.